This is Guilmon, the best Pokemon gijinka ever. 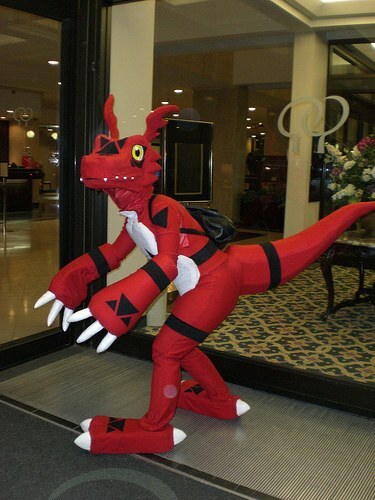 The costume is based on Guilmon, the Fire Rock Dinosaur from Pokemon Zirconia. Guilmon’s moveset includes Throw Rock, Powerancient, Spin Fire, and Stormsand. With a whopping 2,500 base stats, he’s ultra rare and can only be found by beating the game 16 times without a single Pokemon in your inventory ever fainting. Click the bump for more details. Sometimes, it’s the art that gets you going. ﻿﻿Saw this. Liked it. It’s going to get made. I’ve attached a few of my sketches. This is a sample of the stuff I’ve been drawing over the past couple months. I thought about posting the rest but they’re actually more deserving of having their own posts. This is usually where I start. I draw the pokemon usually using Ken Sugimori’s art. It’s incredible how much you get a sense of the creatures when you do this. Back in the summer of 2010, I really got into pokemon again, but this time, I got really into the art. I didn’t just want to play the game anymore. All over the internet, especially /vp/, there was the most incredible drawings and comics being put together. Then came the flood of gijinka costumes. The gijinka cosplay wasn’t just the icing on the cake. Culminating with the art, the gijinka cosplay photos I saw made me want to get into this like never before. Coming up with my own stuff usually gets pretty muddled, but I’m not letting that stop me. Coming up with ideas for gijinka costumes is best part of drawing these pokemon. Stay tuned for more posts where I show you the crazy sketches that go into making my own personal gijinka. Last week, I jumped on the bandwagon of a few other geek blogs and posted an image of a popular piece of gijinka art recently released. The art piece contained all current pokémon (B/W not included), redrawn as anime girls wearing cosplay. 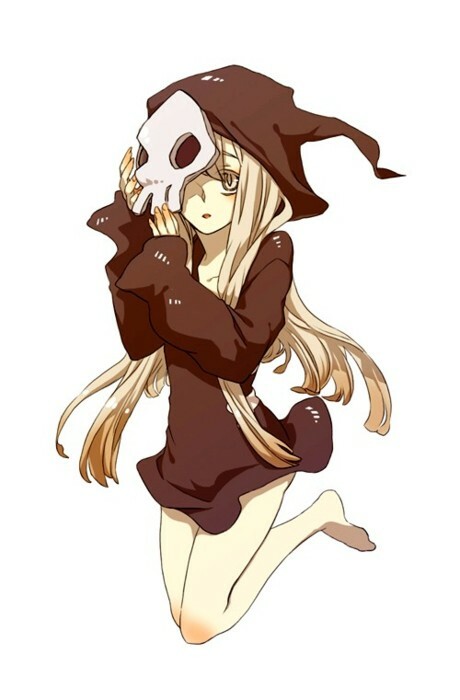 While some of the costumes could be considered elaborate dresses, others fall into the unfortunate category of softcore fetish art. I want to sincerely apologize to all my readers, my colleagues, and anyone else who happened to stumble upon this picture while visiting my blog. I did not want to subject my readers to such lascivious material and I certainly didn’t want to offend anyone. The post containing the image, including all the comments (sorry, 😦 Vilma), has been removed. If, however, you are curious and don’t mind looking at slightly-NSFW anime art, then pop on over to Geekologie for the original story. Seeing that this is a blog on pokémon gijinka, I didn’t feel right completely abandoning the artist’s work. Below, I’ve included a small slideshow capturing what I felt to be some of the most creative and elaborate samples. When time allows, I’ll transfer these and the other SFW pictures to their respective pokémon in the art section.